In patients with advanced, drug-resistant cancers, over a quarter with cervical and bladder tumours, and nearly 15 per cent with ovarian and lung tumours, responded to the new treatment. 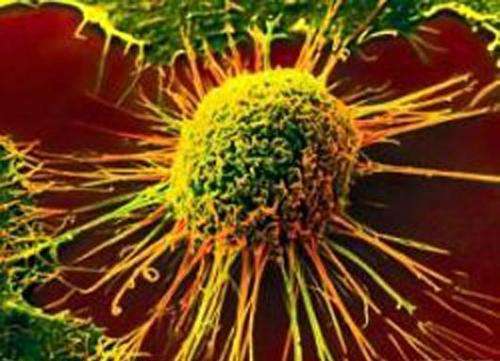 The innovative new drug, called tisotumab vedotin (or TV for short), releases a toxic substance to kill cancer cells from within. The results have been so positive the drug has now moved forward to phase II trials in cervical cancer and will be tested in a range of additional solid tumour cancers. A team at The Institute of Cancer Research, London, and The Royal Marsden NHS Foundation Trust led a phase I/II global clinical trial of nearly 150 patients with a variety of cancer types who had stopped responding to standard treatments. The study was published in The Lancet Oncology and funded by Genmab and Seattle Genetics. 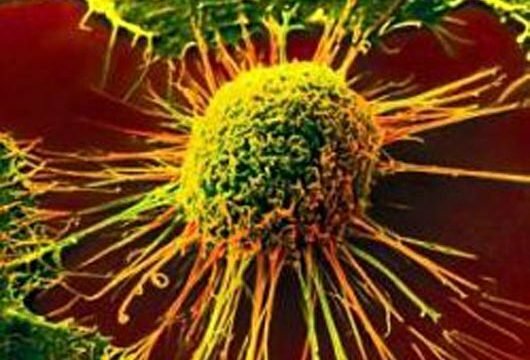 The researchers found that a significant minority of cancer patients responded to the drug, with their tumours either shrinking or stopping growing. They saw responses in 27 per cent of patients with bladder cancer, 26.5 per cent with cervical cancer, 14 per cent ovarian cancer, 13 per cent with oesophageal, 13 per cent with non-small cell lung and 7 per cent with endometrial cancer (although not in any men with prostate cancer). Responses lasted an average of 5.7 months, and up to 9.5 months in some patients. The main side effects reported from the study were nose bleeds, fatigue, nausea and eye problems—but halfway through the trial the researchers adjusted the protocol to reduce these eye-related effects. TV is made up of a toxic drug attached to the tail end of an antibody. The antibody is designed to seek out a receptor called ’tissue factor’ – present at high levels on the surface of many cancers cells and linked with worse survival. Biopsy samples taken at the start of the trial are currently being analysed for expression of tissue factor on tumour cells to see if it could be used as a marker to select patients most likely to respond to the drug. “What is so exciting about this treatment is that its mechanism of action is completely novel—it acts like a Trojan horse to sneak into cancer cells and kill them from the inside. Our early study shows that it has the potential to treat a large number of different types of cancer, and particularly some of those with very poor survival rates. “TV has manageable side effects, and we saw some good responses in the patients in our trial, all of whom had late-stage cancer that had been heavily pre-treated with other drugs and who had run out of other options. “We’ve seen major advances against cancer in recent decades, but many tumour types remain very difficult to treat once the cancer has begun to spread. We desperately need innovative treatments like this one that can attack cancers in brand new ways, and remain effective even against tumours that have become resistant to standard therapies.